Pêra Manca is a cult wine produced near Évora, in Alentejo. It has a long pedigree that is intertwined with the history of Portugal. Pedro Álvares Cabral took bottles of Pêra Manca in the voyage that resulted in the discovery of Brazil, in 1500. The wine continued to gather fame, wining gold medals in Bordeaux in 1879 and 1898, but its production ended with the death of the vineyard’s owner in 1920. In 1990 the Eugénio de Almeida Foundation resumed the production of Pêra Manca, aging the wine in the cellar of a 1580 Jesuit monastery. The white Pêra Manca is made with Antão Vaz and Arinto grapes. The red Pêra Manca is made with Trincadeira and Aragonês grapes and it is produced only in exceptional years. It is a wonderful wine for a special occasion. After all, it was good enough to celebrate the discovery of Brazil. 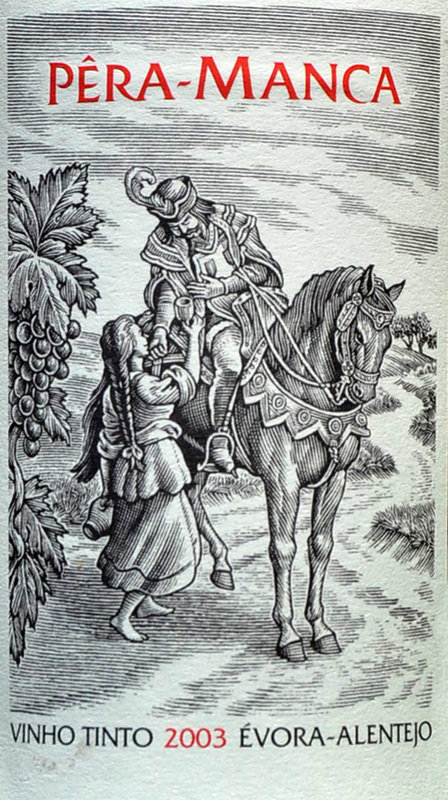 Click here for the Eugénio de Almeida Foundation Cartuxa winery website. Reblogged this on Quinta Os Chões – Marvão – Portugal. Fabulous wine and great estate!